Changes in society, including greater geographic mobility, the change in family structure and a demographic shift towards an ageing population have resulted in many community activities becoming age segregated. An increase in negative media images can lead to a descrease in positive exchanges between older and younger people and an increase in negative stereotyping. However, both groups have resources of considerable value to each other and share many areas of concern; for example, many younger and older people feel isolated within their communities and marginalised in descision-making that directly affects their lives. Intergenerational activity is one means of addressing the issues that are key to all generations and common to many. 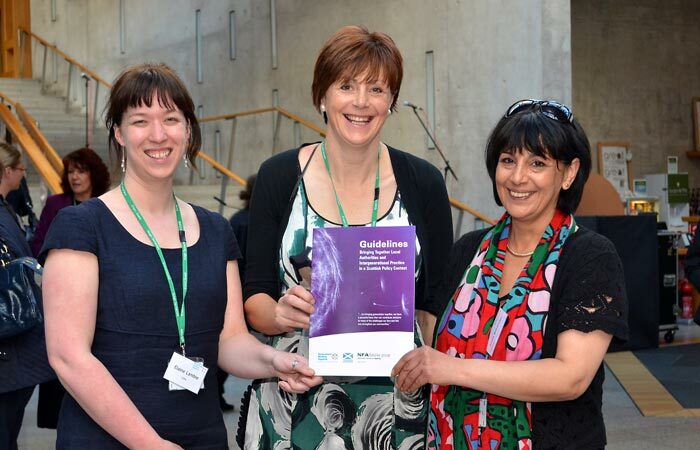 The purpose of this resource is to provide local authorities, other agencies and projects with guidelines that clearly contextualise intergenerational practice (IP) in terms of Scottish national priorities. In particular, it establishes the relationship between IP and Scottish National Performance Framework (NPF) Strategic Objectvies. This allows local authorities, other agencies and projects to align their outcomes with Scottish National Priorities. Read the case studies listed in the table on page 18 of the Guidelines document. For further details please contact Alison Clyde, National Development Officer.